Even with the facts on your side, judges can be wrong, juries can be fickle, and previous attorneys can act negligently. Just because a decision has been made does not mean that the decision or result is final. Our legal system provides a method of redress at both the state and federal levels through the appeals process. Fortunately, the experienced appeals attorneys at Lewis Kuhn Swan PC have successfully advocated cases before both federal and state appellate courts. When you receive an unfavorable decision, you have a very short time to appeal. Don’t jeopardize your appeal by waiting another day. Contact our experienced appellate lawyers today at 719-694-3000. We proudly serve Colorado Springs, Pueblo, Castle Rock, and surrounding communities. Perhaps your attorney did not communicate sufficiently with you or didn’t represent you effectively. Perhaps the judge made an error that deprived you of a fair trial or made the process in your case unconstitutional. Whether your case was unsuccessful due to legal malpractice or other unfair reasons, appealing the court’s decision may be your next course of action. Like many states, Colorado’s appellate system is two-tiered for hearing arguments related to errors made by a lower-level court, agency, or tribunal. Appeals usually advance to the Colorado Court of Appeals from district courts and special courts. The Court of Appeals’ decision is final, unless the case proceeds to the Colorado Supreme Court. Appellate work differs significantly from trial work and requires a unique and sophisticated set of skills. Successful appeals attorneys must not only possess an intimate knowledge of the law, but also an understanding of the law’s practical application. In a trial, both sides work to establish the facts in a case through depositions, documents, and other methods. 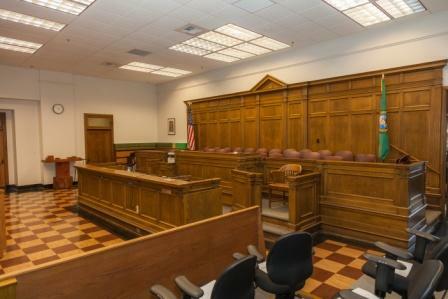 Where the trial court spends considerable time developing the facts, the appellate court usually considers those facts to make legal decisions. During an appeal, an appellate judge decides if the trial judge made an error interpreting the law when rendering his or her decision. Many times, the appeals process only involves written arguments based on comprehensive legal research. However, appellate judges will sometimes request a courtroom presentation for further clarification. This means your attorney will only have one opportunity to defend or promote your position. Judicial decisions are frequently based entirely on a written record, and entire cases are often resolved without any oral argument whatsoever. Effective writing is critical to winning motions, driving settlements, and winning cases. Our unwavering passion for exemplary legal writing distinguishes us from other law firms. Our success is demonstrated in the exceptional results we have achieved for our clients. At Lewis Kuhn Swan PC, our attorneys begin working long before a case reaches a court of appeals. Our lawyers draft dispositive motions, file post-verdict motions, and ensure that important issues are preserved for appeal. By anticipating every issue that may arise, we can strengthen your strategic position from the beginning. The appeals process is subject to strict deadlines, so it is crucial to seek legal counsel for an appeal as quickly as possible. By contacting our office right away, we can help you determine if an appeal is appropriate in your situation, and begin building your case. The clock may already be ticking on your appeal. Don’t risk your case by waiting another day to get started. Call Lewis Kuhn Swan PC today at 719-694-3000 to discuss your appeal for free with an experienced lawyer. We help clients from Colorado Springs, Pueblo, Castle Rock, and other Colorado communities.